One of the key pioneers of Feminist art, Judy Chicago is an American artist, educator and the author of the written word known primarily for her large art installation pieces which shed light on the role of women both in history and in culture. 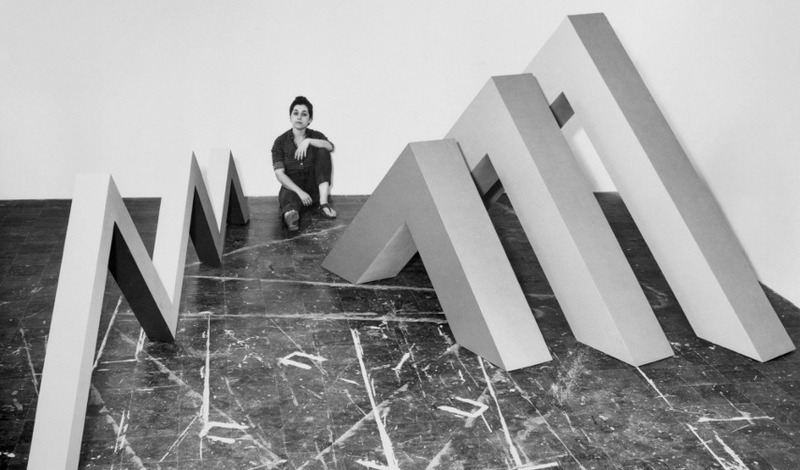 This artist has been challenging the heavily male-dominated art world since the 1970s. Chicago’s colorful body of work includes a wide range of media and techniques as this author has presented the public with countless paintings, tapestries, sculptures and mixed-media installations over the course of her career. In one way or another, all of these artworks were intended to celebrate women’s achievements in various fields of human existence. Before we start, it should be noted that Chicago’s original name is Judith Sylvia Cohen – she legally assumed the name of her hometown after becoming a widow at the age of twenty-three in order to symbolize her lifelong struggle with identity. As it was said above, Chicago’s real name is Judith Sylvia Cohen. She was, of course, born in the city of Chicago, during the year of 1939 to the parents of Arthur and May Cohen. Unlike the twenty-three of his predecessors, Arthur did not become a rabbi, instead opting to be a labor organizer and a Marxist – a feature that heavily impacted Judy’s early womanhood. His views on women’s status and their support played a big role in establishing Cohen’s young mindset and early work, but, unfortunately, Arthur’s health declined in the early 50s and he passed away the year of 1953 from peritonitis. May did not think much of her late husband and did not even allow Judith to attend Arthur’s funeral. Unsurprisingly, such a turn of events was quite traumatic for Chicago who did not come to terms with her father’s death until she was an adult – she was even hospitalized for almost a month with a bleeding ulcer attributed to nothing but unresolved grief. Since then, Judy has been channeling all of her pains, emotions and views on life through her art. This was ultimately not a surprise to anyone as Judith was saying that she never wanted to do anything but make art since the age of five. In order to develop her artistic potential, Judy attended the famous UCLA. During this time, she became politically active, designing posters for the NAACP and eventually became its corresponding secretary. This can be quite logically attributed to the young artist’s vision of her father and the political role he played during his life. In 1959, Chicago met and fell in love with Jerry Gerowitz. The new couple hitch-hiked their way to the New York City but were forced to return to Chicago in order for Judith to be able to graduate. The two married in the year of 1961. 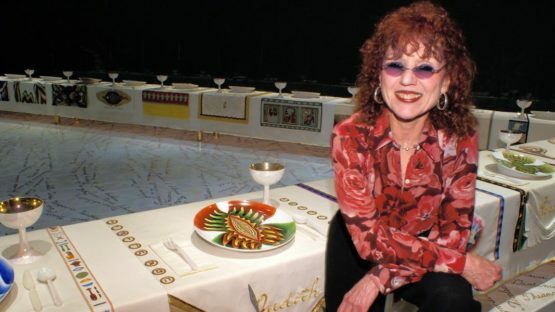 Due to the late grief of the death of her father and the lost connection to her name through marriage, Judith changed her official name to Judy Chicago. Unfortunately, another tragic event was about to occur. Two years after their marriage was official, Gerowitz died in a car crash, causing his widow to suffer from a series of identity crises for years to follow. 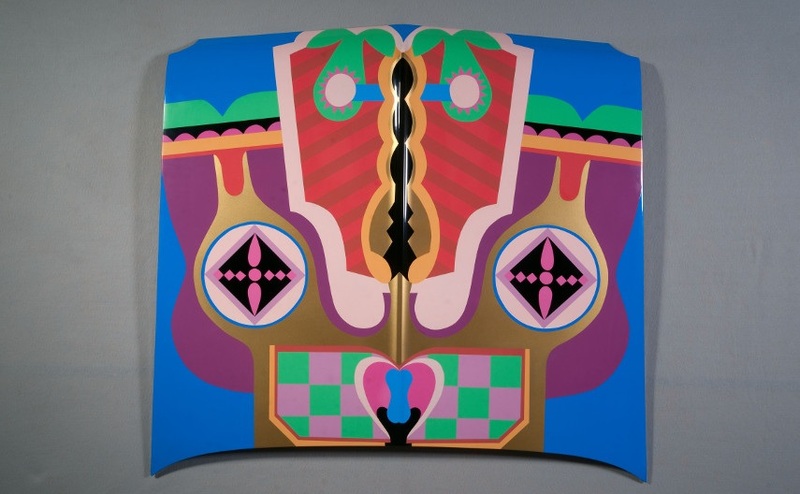 As a way of dealing with the situation, Chicago worked on a series of works called Bigamy, a project that was fundamentally an abstract depiction of male and female sexual organs. Her professors, who were mainly men, were dismayed over these works. Interestingly, although the feministic note of her work was more than obvious, Chicago never agreed to be labeled with any one collective description, explaining it with the following statement: I won’t show in any group defined as Woman, Jewish, or California. Someday when we all grow up there will be no labels. In 1965, Judy married a sculptor Lloyd Hamrol. Soon, she became a teacher at the California Institute for the Arts and was a leader for their Feminist Art Program. During the next couple of decades, Chicago was a lot more fortunate than in the previous chapters of her life. The art she was making was truly blossoming, resulting in more than a few fascinating pieces and projects that truly marked the feminist struggle of the period. Chicago would often describe her early artwork as minimalistic in nature and as her trying to be one of the boys. However, her later pieces often turned in other directions. Her Pasadena Lifesavers was a series of abstract paintings that placed acrylic paint on Plexiglas, creating an illusion of the turn, dissolve, open, close, vibrate, gesture and wiggle. Womenhouse was also an impressive endeavor as it opened some valuable dialogs about women’s statuses. 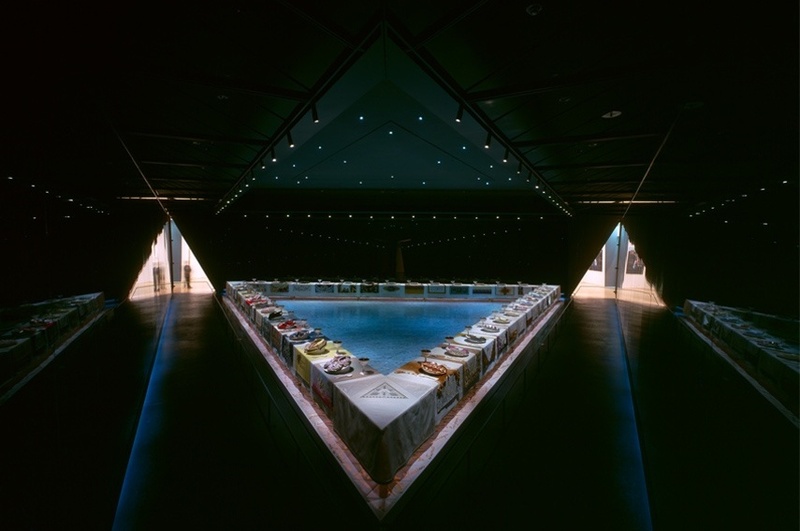 The Dinner Party was Chicago’s masterpiece that took over five years and $250,000 to complete – this large triangle consists of 39 place settings, each commemorating a historical or mythical female figure. Other notable works created by Judy are The Birth Project, Powerplay and The Holocaust Project. Judy yet again remarried in 1985, this time becoming a wife of a photographer Donald Woodman. Nowadays, the name of Judy Chicago is virtually synonymous with early feminist art. She serves the role of an inspiration for all the younger generations wishing to go down a similar artistic path and participate in the women’s struggle for artistic rights. Via her colorful work, Judy did not only write out what can arguably be described as the most important chapters of feminism in art history, but this author can also be credited with literally influencing a positive change within our societies. Chicago’s work has successfully reflected women’s lives, called attention to the female roles within society and managed to alter the conditions under which ladies’ contemporary art was produced and received. Conclusively, Judy proved that the male-oriented Western artistic canon was not as correct as the majority thought, redressing women’s traditional underrepresentation in the visual arts that was all so present in the time Chicago was starting her career. This author’s artworks literally influenced tangible positive changes within our culture – something that should be the ultimate goal of any pivotal artist. 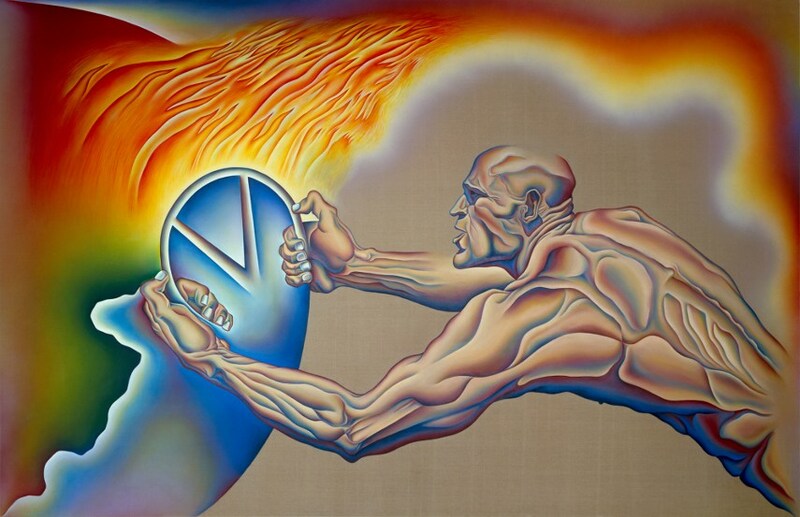 Judy Chicago lives and works in New Mexico, United States.